A former Alabama doctor thrice convicted in a 2011 murder-for-hire was hit by a car and killed in Arizona. David Nash, 59, died Jan. 26 – from blunt force trauma after being struck by a vehicle, according Tucson News Now. Arizona DPS spokesman Kameron Lee told the news agency that Nash was hit by a black Dodge sedan while walking across the southbound lanes. He said it was a dark area of the highway and he didn’t know why Nash was crossing the roadway. Nash was convicted three times in the stabbing death of Ralph “Critter Man” McNeil, who ran a pest and animal control business. 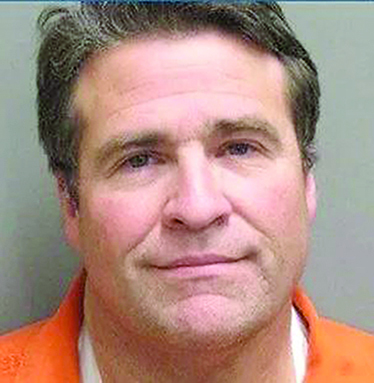 Nash’s former fiancee Serena English, who had a child with McNeil, was implicated in the crime and is now serving a life sentence. Authorities say Nash hired cousins Jeremy and Kindall Riley to kill McNeil for $9,000. McNeil was apparently in a child custody dispute with English at the time of his death. His body was found stabbed and shot to death outside a trailer on Pilgrim Street on Jan. 18, 2011.A jury first convicted Nash of capital murder for hire in August 2013, but that conviction was later vacated after officials found out two jury members lied during the selection process. The third time he went to trial, a lesser-charge of felony murder was included and the jury in 2015 found him guilty of felony murder. The defense appealed, claiming felony murder was not a proper lesser-included charge for capital murder. The Alabama Court of Criminal Appeals in 2017 set aside Nash’s conviction and he was released from lockup a month later.